The program allows you to create notes in a unified workspace. Each note has an index in the left listbox, and an associated window with text. If you prefer to have all notes occupy the entire client area, click the "maximize all" checkbox. The program automatically saves information entered in pads, so you don't have to worry about saving your texts. To search for keywords in pads use the global search box at the top of the form. Once you press search the program searches in all pads (open and closed ones), in draftpad and in all tasks. a) on the "results in draftpad" the program will position the cursor at the first occurrence of the keyword in the general draftpad. b) on the "results in pads" the program will position the cursor at the first occurrence of the first pad. 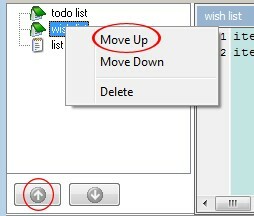 c) on the the "results in tasks" the program will display matching tasks. When you search for keywords the program highlights and positions the cursor at the relevant keyword.